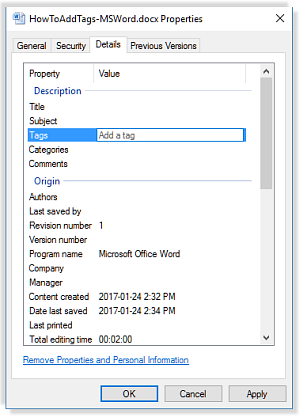 Turn any Microsoft Word file or text file into a fully searchable resource using Doc-Tags to surface the file's contextual topic keywords. 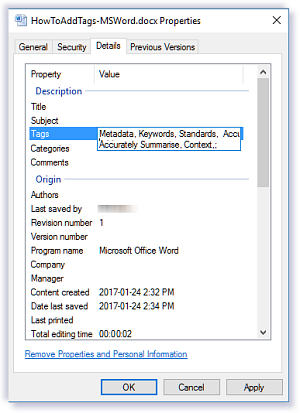 Add contextually accurate Document Tags to the properties of Microsoft Word files and Text files - automatically. Within a matter of minutes your document or folder of documents will be easily searchable by contextually accurate document description keywords. Doc-Tags will turn folders of documents into extreme value with accurately Searchable and Comparative keyword results. Search folders for all documents that have this contextual *Key Term* or on this Topic - in Context. Instantly! Yesterday will the be the last day you re-read a document to enter it into an Enterprise Content Management System. 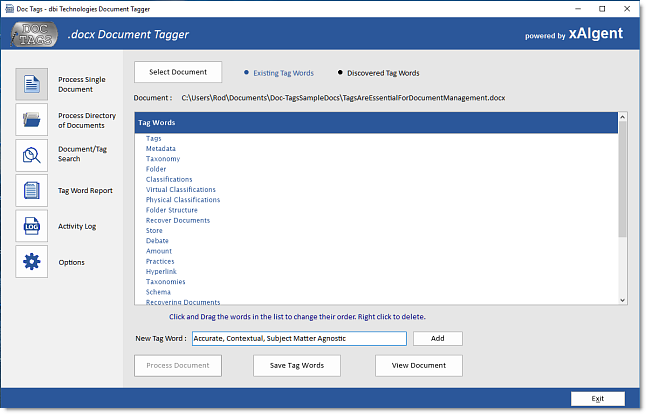 Doc-Tags is your answer to secure, private, key term tagging for Executive-level documents.